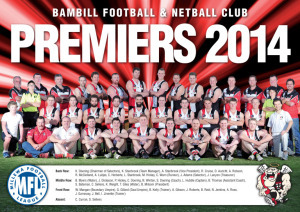 The Bambill Football and Netball Club is one of six teams in the Millewa Football League. 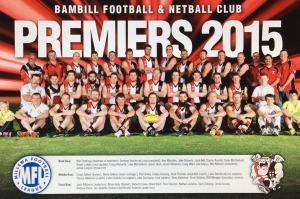 The club has seen success on both the football field and netball court over many years. The Club prides itself on being a family club. 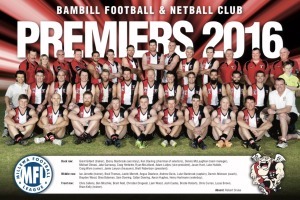 The club would like to sincerely thank all sponsors, members, players and supporters that drive Bambill to be the successful club it is today. COMMITTEE MEMBERS: Cameron Sutton, Roanna Gathercole, Adrienne Fielding, Jeremy Adams, Donica Foster, Luke Hubble, Andrew Stanbrook, Jane Boulton, Karlene Kakahi, Jake Roberts, Brodie Roberts, Simon Kelly. 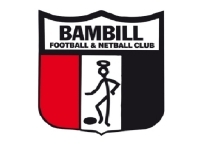 To keep up to date LIKE/FOLLOW Bambill Football Netball Club on Facebook and Instagram!